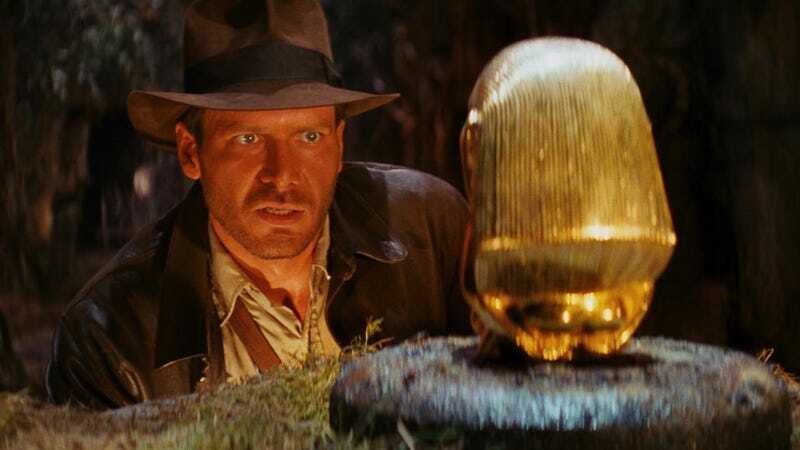 When three young filmmakers decided to remake Raiders of the Lost Ark shot for shot, they had no idea where it would take them. Now, a documentary about the experience is coming out, and a new trailer has been cut that feels very familiar. Taking footage from the fan-made remake that’s the subject of the upcoming documentary, Raiders, Drafthouse has cut a trailer that’s almost identical to the first trailer for Raiders of the Lost Ark, and put them side by side. It’s really cool. The documentary Raiders: The Story of the Greatest Fan Film Ever Made will open June 17. You can read more and get tickets here. We’ll have an excellent exclusive clip next week.